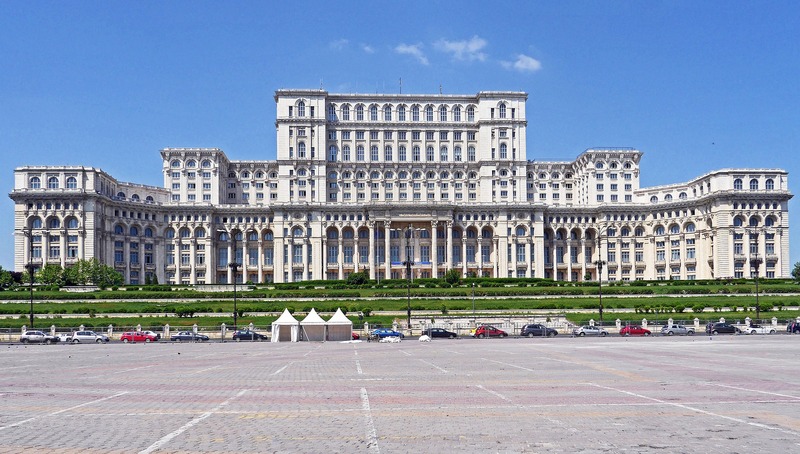 The Palace of the Parliament (Bucharest) is the second largest administrative building in the world after The Pentagon. The Palace has 84 m height, an area of 365,000 square meters and a volume of 2,550,000 cubic meters. In terms of weight, the Palace of the Parliament is also the heaviest building in the world, weighing in at around 4,098,500,000 kilograms. The Palace was ordered by Nicolae Ceaușescu (1918–1989), during the Communist period of Romania. The construction of the Palace began in 1984 and initially should have been completed in only two years. The term was then extended until 1990, but even now it is not finalized. Only around 400 rooms are finished and used, out of 1,100 rooms. The building has eight underground levels, the last one being a nuclear bunker, linked to the main state institutions by 20 km of catacombs. 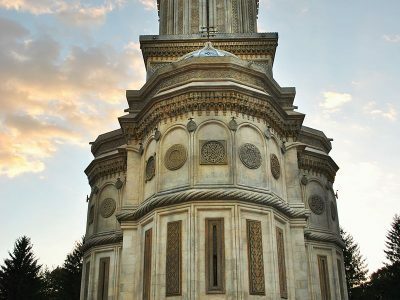 The building was constructed almost entirely of materials of Romanian origin.